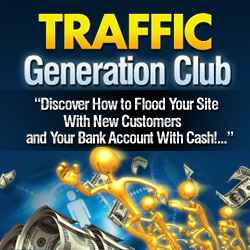 You are here: Home / Make Money Online / Is All Traffic Really Created Equal? Most serious affiliates are looking for ways to increase traffic to their site. But the thing that separates successful affiliates from struggling ones is their ability to separate the wheat from the chaff. It takes more than just numbers to make an affiliate site successful – it takes converting, qualified traffic to make a high sales rate. How can you separate good traffic from bad traffic? Your traffic sources can have a big impact on conversion. Strange as it might sound, people who are actually interested in what you’re selling are more likely to buy! That means visitors who stumble in because of an exit traffic advertisement, or a splash page they were forced to look at on their way to something much more interesting aren’t very likely to make a purchase – or even give your site much attention. No matter how cheaply you got the traffic, it’s worthless if they don’t do that. When people click to your site from related sites in your niche, or from typing a request for information into a search engine, it still doesn’t guarantee that they’ll make a purchase, but it does make it more likely that they’ll be receptive and read your page. Can Your Traffic Make A Purchase? It’s important to make sure that you’re targeting traffic that’s actually capable of purchasing your product. Generally, this means targeting websites and communities that have some expected income level. Stay away from sites offering “worldwide” traffic in bulk –- this usually gets you a lot of traffic from countries with currency that isn’t as valuable as the US dollar. You should also avoid centering your campaign on really young people who might not have a credit card or the means to buy your offer. What Does Your Traffic Want? Good keyword research is vital to making sure that your traffic is targeted. Targeting keywords that chase “information seekers” instead of “potential buyers” can be a recipe for disappointment. Look at websites that are ranking for your targeted keyword and ask yourself whether your site “fits” with those results, and whether you can do a better job of meeting the needs they’re trying to fulfill. It’s impossible to do any of this without quality statistical tracking. Software like Google AdWords Conversion Tracker gives you the chance to look over where your traffic comes from and how much of it results in a sale. This doesn’t take too long to set up – but the benefits can be amazing. Remember that conversion tracking gives you a chance to constantly fine tune your affiliate site for better results, not just in the traffic sources, but in the copy and design on your site.